Last week, we talked about the Season 1 Rewards and new “Item Qualities.” This week, we’re changing the standard news format to go in-depth with the details about our second Online season. 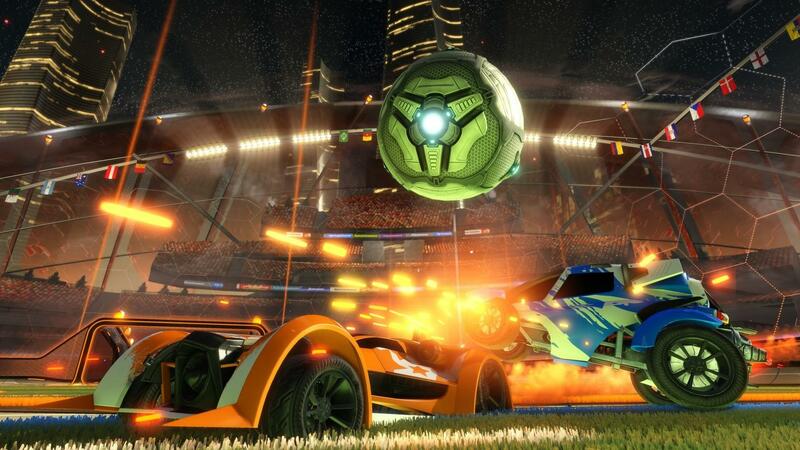 The next patch (scheduled for February), will bring an end to the first season of competitive Rocket League! We’ve been listening to all of your awesome feedback regarding Season 1 and incorporating a TON of improvements for Season 2 and beyond. The aim of Season 2 is to de-emphasize the importance of single wins or losses and put the focus where it belongs – consistently playing well and improving your game over time (not stressing over individual losses). Now, let’s get into it! What Has Changed in Season 2? To start, we’ve renamed ranked play “Competitive Matchmaking,” which will be tagged in the Playlists menu to differentiate them from casual matchmaking. In addition to the fresh playlists tags, we’re also removing Rank Points for Season 2. In the new season, all Divisions are based on your Skill Rating to remove the confusion of two points systems. 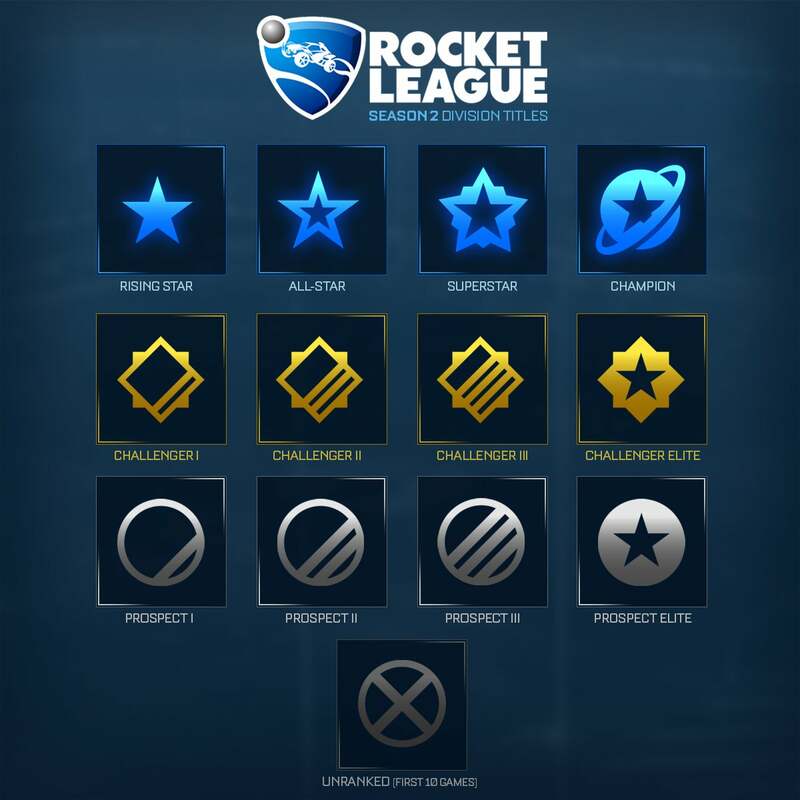 We have replaced the ten Season 1 Divisions (Bronze I/II/III, Silver I/II/III, Gold I/II/III, and Platinum) with 12 new ones, especially tailored to Rocket League. The new divisions range from Prospect I at the bottom to Champion at the top. When starting Season 2, all players must play ten placement matches to determine their Skill Division. Skill data will also remain from Season 1, so existing players don’t have to start over. Your final division placement will be heavily influenced by your Season 1 Skill Rating. Skill Divisions will be visible on the end-game scoreboard, so you can see what division your teammates and opponents were in. However, you will no longer see a numeric representation of your skill or rank, just your current division icon and name. Promotion and Demotion between divisions works differently than before. You will be promoted into a division after your skill has risen consistently to the next division up. Once promoted, you won’t risk immediate demotion for losing a game or two. What Else Should We Know About Season 2? There is no longer a hard cap on the number of players in the top division. 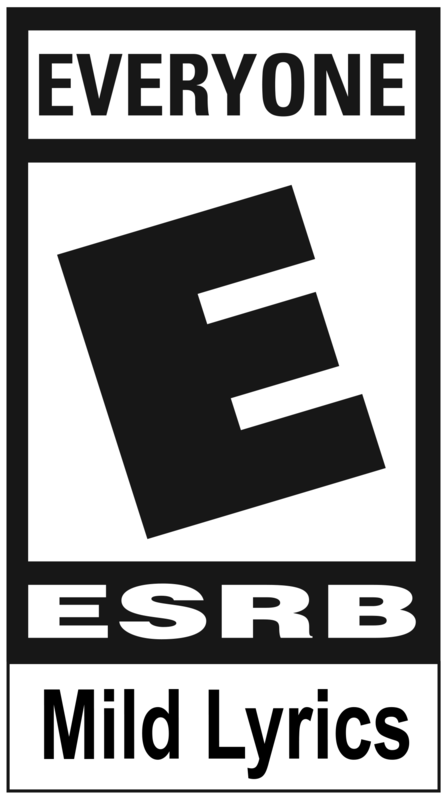 This means that if you meet the skill requirements for the top division you will be placed accordingly, regardless of the number of players who meet that rating. Season 2 will retain the Top 100 with leaderboards based on Skill Rating, similar to how the Preseason worked. Players in the Top 100 of each skill division will appear on leaderboards like in previous seasons. As usual, we’ll keep you updated on more of our feature additions and other topics regularly through our Facebook and Twitter pages. Thanks for reading and let’s keep this discussion going for Season 2! Good luck out there!